FJØRN Scandinavian was established in 2005 as a Scandinavian Design Shop that would embrace the Nordic Good Life and a design philosophy and taste for simple elegance. Establishing relationships with top brands and quality business service providers, FJØRN has grown to be a nationally known, team-driven, customer-focused omni-channel operation that is a hospitable environment for convivial relationships with our customers, colleagues, friends and family. 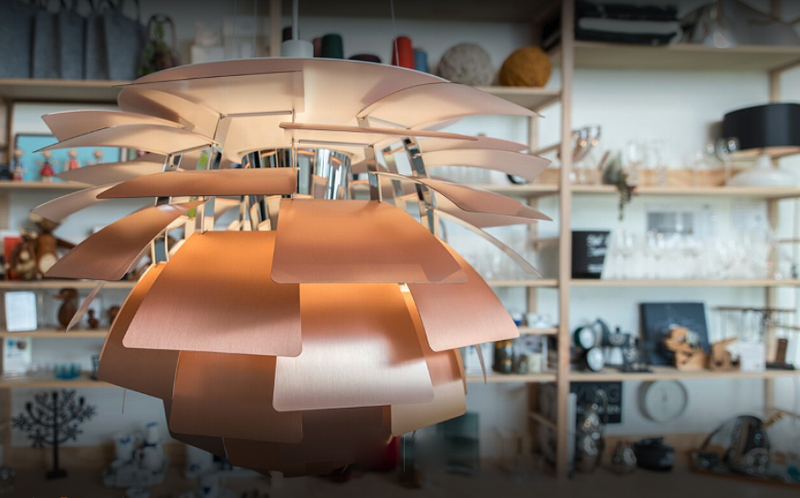 Committed to developing long term relationships with our customers and vendors by providing great service and focused attention on quality, we are passionate about Scandinavian design, architecture and art. We work to provide the highest level of service and attention to every customer. At our core, we are careful about selecting the premium brands that we partner with. Our guide is that our design partners represent expert craftsmanship and high design skills, are innovative, produce and create useful objects that are sustainable using high-quality materials and are completely authentic. Our values guide our activities and influence the way we work with each other as a team, with our vendors and our customers. Envisioning a collection that was both elegant and soothing to the senses, in 2005 our founder Sigurd Hadland sought out the most beautiful tabletop brands, luxury Swedish linens, soft and warm handmade Norwegian woolens, lovable children's things, cozy & colorful blankets and sweaters all in an array of great designs. FJØRN began importing hard to find, top quality kitchen and tabletop brands including Iittala, Georg Jensen, Holmegaard Glassworks, Rosendahl Design and Royal Copenhagen ... and selected goods that met his exacting quality standards and reflected the pleasures and realities of Scandinavian living. With the outstanding success of their first product, the Swedish Tea Towel, FJØRN Scandinavian soon became nationally recognized and now features handmade Danish furniture by Carl Hansen & Søn, Danish lighting by Louis Poulsen, and Swedish woven and tufted rugs and carpets by Kasthall. FJØRN has been named Best of the Web by InStyle Magazine and has been featured on numerous home and design blogs, web sites and publications including Apartment Therapy, Architectural Digest, Bon Appetit, Dwell, Elle Decor, Food & Wine, Good Housekeeping, Martha Stewart Living, Men's Journal, Remodelista, Vanity Fair, and daily newspapers such as The Los Angeles Times, The San Francisco Chronicle, The New York Times, and The Wall Street Journal. The FJØRN Collections have flourished to feature one of the the largest online assortments of Scandinavian Home Accessories and Furnishings. 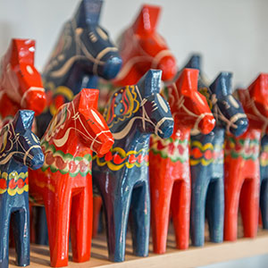 Distinctive Modern and Traditional Scandinavian home goods and gifts include smartly designed kitchenware, hand painted porcelain dinnerware, kitchen and table linens, the best in Danish sterling silver and steel flatware, Swedish crystal stemware and art glass, cotton and wool blankets and throws, precious newborn and toddler gifts, classically designed Scandinavian jewelry and much more. From celebrities to grandmothers to moms on-the-go, everyone loves the traditional and modern designs from FJØRN Scandinavian. Products here are of the highest quality and are thoughtfully designed and constructed and packaged by hand. We invite you to enjoy, cuddle, laugh, dream and play as you enter the world of FJØRN Scandinavian. 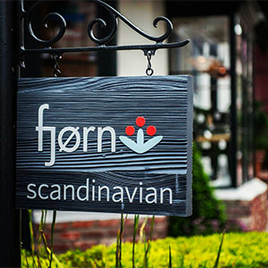 FJØRN Scandinavian shop and customer care team members are available Monday through Saturday from 9:30AM to 4:30PM. We look forward to assisting you with product and brand questions or helping you place your order. MVH / TAK! Our team wants you feel as comfortable and confident as possible when shopping with FJØRN Scandinavian. On this page, the following areas of information are offered for assistance with your experience with us. Please submit the form on this page to reach us ASAP with product questions, order status or any other issues or concerns. MVH / TAK! Ordering online: When you place an order through fjorn.com you will find it safe, easy, and fast. You can make changes and review what you have entered nearly every step of the way. Available 24 hours a day. In addition, you can track the processing and shipping of your order through a link that is emailed to you after the order is placed. Call us: Our sales and service team is ready to place your order over the phone. You can reach us at +1-831-620-0123, Mon-Sat 9:30AM TO 4:30PM. The phone center is closed on Sunday. Flat rate shipping $6.95 for all orders up to $125 within the contiguous USA, excluding AK and HI. For a limited time only. Free shipping on orders $125+ within the contiguous USA, excluding AK and HI. For a limited time only. The free and flat-rate shipping promotion excludes furniture and large items. Including processing time, expect delivery of your order within 7-10 business days. Add one to three days additional for Alaska and Hawaii. Shipping rates for large item and furniture orders are quoted to our customers based on shipping destination and available carriers. We make our best effort to negotiate the lowest shipping rate for furniture deliveries and will contact you within 24-48 hours of order placement with the delivery contract fees. For UPS 3-Day Select, 2nd Day Air and Next Day Air Saver, rates vary based on order and location. When checking out, please enter your destination and choose your shipping preference to see the price. Please remember that delivery times are in addition to our normal 1-3 business days processing time. We ship regularly throughout Europe, Asia and North and South America. International shipping rates vary based on location, please select international shipping and the destination country during the checkout process to find out the specific rates for your order and destination. For Canadian orders we will attempt to send most items via Canada Post, however, dinnerware and furniture orders are delivered using a variety of carriers. To find out shipping rates, please select Canada Shipping during the checkout process. Generally, shipping rates to Canada cost between $19.95 and $39.95 based on the size of the order. Please allow extra processing time of 10-14 business days for International orders. International orders are accepted at the discretion of the store manager and exclude indoor and outdoor furniture and some glass and dinnerware items. To be sure, please call us at +1-831-620-0123 or e-mail us at customercare@fjorn.com for product availability to international addresses. International customers are responsible for any customs, duties and brokerage charges which may be imposed upon delivery. These charges may be collected when your order is delivered. Refused international orders will be considered abandoned property by the customer and per our international order policy no returns can be accepted or refunds provided.